FREE 90 DAY POWER TRAIN WARRANTY! We are small family owned dealership that will help you through the buying process and we will be there after the sale. We have a 0 pressure atmosphere and invite you to call us with any questions you may have. We can be reached at 704-660-0010. Extended Service Plans are available that will allow you to have your vehicle serviced at your local Dealership. Financing is available for all credit types As with all our vehicles, you are welcome to have them inspected by any local service facility of your choice. Simply let us know and we will be happy to arrange itPLEASE NOTE: PRICE LISTED DOES NOT INCLUDE TAG, STATE SALES & USE TAX, NOR DOCUMENTATION FEES. Gregory Campbell (855) 656-1746 1200 NW 167 STREET Miami Gardens Florida 33169 ? ? ? ? 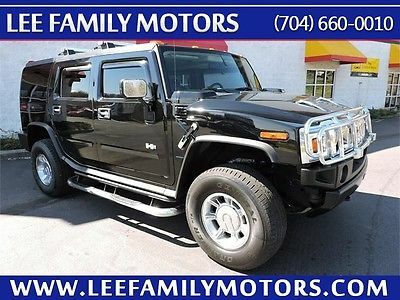 2008 HUMMER H3 SUV Vehicle Information VIN: 5GTEN13E588161020 Stock: 88161020 Mileage: 71,906 Color: Midnight Blue Metallic Trans: Automatic Engine: 3.7L 5 Cylinder Engine MPG: 13 City / 18 Highway Drivetrain: Four Wheel Drive ? ? Description Leather Seats,Four Wheel Drive,ENGINE; 3.7L DOHC 5-CYLINDER MFI (242 HP [180.4 KW] @ 5600 RPM; 242 LB-FT OF TORQUE [326.7 N-M] @ 4600 RPM),MIDNIGHT BLUE METALLIC This vehicle includes a Money-Back Guarantee and passed our precise inspection process. Best of all the price you see is the price you pay. No haggling. No back and forth. No pressure. And this price is so good it is guaranteed. Welcome to Mercedes-Benz of Miami, one of America's premier marketers of high-line and luxury automobiles. 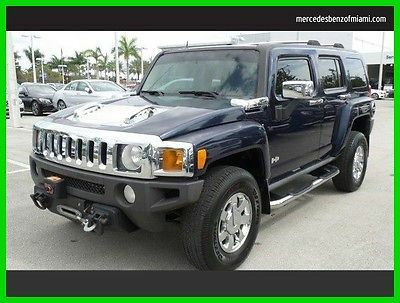 This 2008 HUMMER H3 SUV is proudly offered by Mercedes-Benz of Miami This HUMMER includes: MIDNIGHT BLUE METALLIC ENGINE, 3.7L DOHC 5-CYLINDER MFI 5 Cylinder Engine Gasoline Fuel *Note - For third party subscriptions or services, please contact the dealer for more information. * The easiest choice in purchasing a new vehicle is choosing one with a complete and detailed history like this gently driven pre-owned vehicle. 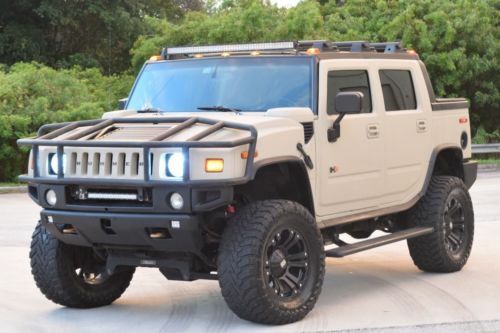 More information about the 2008 HUMMER H3: The 2008 Hummer H3 may be smaller than the H2, but it is no less imposing wherever it shows its massive chrome grille. Physically, it is only five inches shorter, three inches less long, and 1,700 pounds lighter. 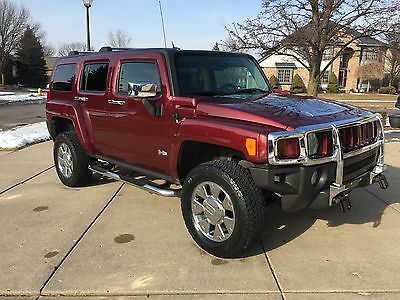 The H3 is priced at $25,555 less than the H2, making it a real value in Hummer-per-dollar. 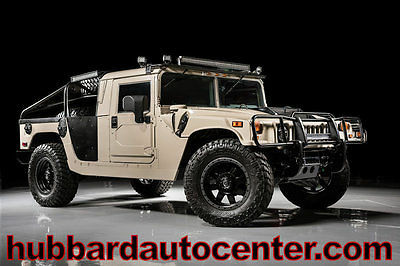 Interesting features of this model are Hummer appeal for less money. and Excellent off-road performance Some used vehicles may have unrepaired safety s. You can check status by VIN at https://www.safercar.gov Contact Mercedes-Benz of Miami 1200 NW 167 STREET Miami Gardens Florida 33169 View Map Ask for:Gregory Campbell Contact: ?Contact Us Direct:(855) 656-1746 Hours Mon-Fri:09:00 AM-09:00 PM EST Saturday:09:00 AM-07:00 PM EST Sunday:12:00 AM-05:00 PM EST Options and Standard Features Options ? Leather Seats ? Four Wheel Drive ? Engine; 3.7L Dohc 5-Cylinder Mfi (242 Hp [180.4 Kw] @ 5600 Rpm; 242 Lb-Ft Of Torque [326.7 N-M] @ 4600 Rpm) ? Midnight Blue Metallic Basic Information Stock Number: 88161020 VIN Number: 5GTEN13E588161020 Make: HUMMER Model: H3 SUV Model Year: 2008 Vehicle Type: Sport Utility Vehicle Trim: SUV Luxury Exterior Color: Midnight Blue Metallic Body Type: SUV Interior Color: BEIGE Engine MPG Automatic City: 13 MPG Automatic Highway: 18 Engine Description: 3.7L 5 Cylinder Engine Fuel Type: Gasoline Fuel Induction: Sequential MPI Valves Per Cylinder: 4 Aspiration: Normal DriveTrain 4WD Type : Full-Time Driven Wheels: Four-Wheel Locking Hubs: Auto Transfer Case: Electronic Transmission: Automatic Wheels Spare Rim Type: Aluminum Drive Train Type: Four Wheel Drive Suspension Independent Suspension: Front Stabilizer Bar: Front And Rear Instrumentation Clock Compass External Temp Low Fuel Level Tachometer Roof and Glass Front Wipers: Variable Intermittent Privacy Glass: Deep Rear Defogger Rear Wiper: Fixed Interval In Car Entertainment Antenna Type: Fixed Audio System: XM AM/FM/Satellite Seats Seating Capacity: 5 Front Seat Type: Bucket Folding: Fold Forward Seatback Convenience Center Console: Full With Covered Storage Cruise Control Cupholders: Front And Rear Door Pockets: Driver And Passenger Power Outlets: 3 Seatback Storage: 2 Steering Adjustment: Tilt-Adjustable Steering Power: Power Steering Power Mirrors: Power Remote Power Door Locks Windows: Power Windows Satellite Communication: Onstar Safe & Sound Comfort Air Conditioning: Manual Trunk Lights: Cargo Area Light Dash Trim: Metal-Look Mats: Carpet Front And Rear Reading Lights: Front Shift Knob: Urethane Vanity Mirrors: Passenger Vanity Mirrors Features Aux Engine Cooler: Regular Bumpers: Gray Door Reinforcement: Side-Impact Door Beam Engine Hour Meter Safety NHTSA Passenger Grade: Good NHTSA Driver Grade: Excellent NHTSA Side Impact Front Grade: Excellent NHTSA Side Impact Back Grade: Excellent Turning Circle: 37 ABS: 4-Wheel Head Airbags: Curtain 1St And 2Nd Row Anti Theft System Safety Locks: Manual Daytime Running Light Engine Immobilizer Headlights Dusksensor: Dusk Sensing Front Headrests: Manual Adjustable Rear Headrests: 2 Rear Center Seatbelt: 3-Point Belt Safety Stability Control Driver and Passenger Airbag Stability Control Door Reinforcement: Side-Impact Door Beam Towing and Hauling Tie Downs: Cargo Tie Downs Doors Rear Door Type: Conventional Side Door Type: Conventional Dimensions Front Head Room: 40.6 Inches Front Hip Room: 53.9 Inches Front Shoulder Room: 54.4 Inches Front Leg Room: 41.9 Inches Rear Head Room: 39.9 Inches Rear Hip Room: 53.5 Inches Rear Leg Room: 35.0 Inches Rear Shoulder Room: 53.5 Inches Luggage Capacity: 30 Cu.Ft. Length: 186.7 Inches Width: 74.7 Inches Height: 73.7 Inches Wheelbase: 111.9 Inches Ground Clearance: 8.5 Inches Max Gross Vehicle Weight: 6,001 Lbs. Curb Weight: 4,700 Lbs. ? Apply Now Secure Credit Application Applying for a vehicle loan online is one of the quickest and easiest application methods. Our secure application is easy to complete, all you need are a few personal and employment details. Why Buy From Us? Our pre-owned vehicles are backed by a 3-day, 150-mile Money-Back Guarantee. If for whatever reason you decide to return your vehicle, we’ll refund your money, no questions asked. It is just the peace-of-mind you would expect from America’s Largest Automotive Retailer. ?Credit Application ?Directions to Dealer ?Contact Us About Us Terms General Disclaimer: Subject to prior sale. Quoted price subject to change without notice to correct errors or omissions. Price may include manufacturer ( OEM ) offers which are subject to OEM qualification criteria, and may be contingent upon OEM finance company approval. See store for details. Dealer service/document fee is $699.99 and not included in quoted price. Tax, tag, and registration fees not included. Standard features are based upon trim level. 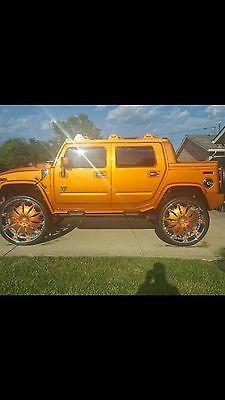 Accessories, options and color may vary.Placing a Bid: Your bid constitutes a legally binding contract to purchase this vehicle. Please do not bid if you're not seriously interested or financially able to purchase this vehicle. Please read eBay's User AgreementMercedes-Benz of Miami reserves the right to, Obtain and verify the registered information of all users who bid on this auction.Cancel any and all bids at our discretion, or end the auction early if necessary.Bidders Age: You must be 18 years of age or older to Bid.Special eBay Bid Retraction Rules: Please read eBay's "Retracting a Bid"If you place a bid before the last 12-hour period of the auction:You may retract that bid before that last 12-hour period but only for exceptional circumstances. You will not be allowed to retract that bid during the last 12-hour period of the auction.If you place a bid during the last 12-hour period of the auction:You will be allowed to retract the bid for exceptional circumstances but only if you do so within one hour after placing the bid.Funds & Financing: For help in arranging for a Pre-Approved loan or for any questions please e-mail or phone Gregory Campbell 786-277-7505 prior to bidding.Buyers Inspection: Mercedes-Benz of Miami has done our best to disclose all information known about this vehicle for auction. Mercedes-Benz of Miami welcomes a buyers inspection. If you plan to have a buyers inspection, please make sure you inspect the vehicle prior to the auction ending. Inspection fees if any are Buyers responsibility.Representations and Warranties made by seller: This vehicle is being sold "as is". Manufacturers warranties may still apply. Extended warranty may be available, e-mail or phone Gregory Campbell at 786-277-7502 for details. No representations or warranties are made by seller, nor are any representations or warranties relied upon by bidders in making bids.Taxes and Registration fees: Out of state buyers are responsible for all state, county, city taxes and fees, as well as title service fees in the state that the vehicle will be registered. All taxes and fees must be paid in full in order for vehicle to be titled and registered. Title Information : In the State of Florida, titles to vehicles are held by banks or lenders as collateral for loans. In many cases there is a delay in receiving the original instruments up to 21 days from the time we pay a vehicle off. While we usually have all titles in our possession at closing, there are occasions where we may be waiting for them to arrive. We guarantee clean titles on all our vehicles, and are a licensed and bonded dealer in the state of Florida. If payment is made by cashier's or personal checks we will hold all titles for 10 days or until funds have cleared.Shipping & Delivery:All shipping charges are buyer's responsibility. Mercedes-Benz of Miami will help with shipping arrangements but will not be responsible in any way for claims arising from shipping damage!Licensed Carriers are generally insured for $3,000,000.00. We assume no responsibility for damages incurred after the vehicle leaves our showroom. All shipping arrangements are provided by Mercedes-Benz of Miami as a courtesy. We are not affiliated with any carrier. Any claims or other communication regarding shipment of vehicles will be between you and the shipper, not with Mercedes-Benz of Miami.The amount of time it takes for delivery is dependent on the carrier, but is generally 7-14 days from the date the vehicle is picked up from our facility until it is delivered to your destination. Verify with the shipper for an Estimate Time of Arrival to be sure. Finalizing your Purchase: We will contact the successful high bidder by e-mail after the auction closes. Successful high bidder MUST contact Contact First Name Placeholder at Mercedes-Benz of Miami by e-mail or phone at 786-277-7502 within 24 hours of the auction ending to make arrangements to complete their transaction. If we cannot confirm your intention to buy or the sale is not completed within 5 days, we reserve the right to relist this vehicle or sell to any other qualified buyer.In order to secure bid on vehicle, Successful bidder (BUYER) must within 24 hours of bid closing send to Seller a Deposit in the amount of 10% by major credit card, cash in person or bank certified funds. Within 72 hours of bid closing, Buyer must send balance of funds by cash in person or bank certified funds to Seller.At time of sending initial deposit, Buyer MUST fax copy of their State issued valid Driver Licence. Furthermore, before said vehicle is released for shipment to Buyer, all other Sale related and title related paperwork must be signed and returned complete to Seller. Disclaimers Accessories & color may vary. Dealer not responsible for errors or omissions. New vehicle pricing may already include applicable manufacturer incentives which may expire at any time & are subject to incentive qualification criteria & requirements. Manufacturer incentive data & vehicle features is provided by third parties & believed to be accurate as of the time of publication. Please contact the store by email or phone for details & availability of incentives. Sales tax or other taxes, tag, title, registration fees, government fees, not included. $699.95 Dealer Service Fee not included in quoted price. Some used vehicles may have unrepaired safety recalls. You can check recall status by VIN, at www.safercar.gov. Money Back Guarantee, 3 days or 150 miles, whichever comes first. Subject to certain terms & conditions. See store for details. Some restrictions apply. Copyright © 2017 Auction123 - All rights reserved. - Disclaimer +- Auction123 (a service and listing/software company) and the Seller has done his/her best to disclose the equipment/condition of this vehicle/purchase. However, Auction123 disclaims any warranty as to the accuracy or to the working condition of the vehicle/equipment listed. The purchaser or prospective purchaser should verify with the Seller the accuracy of all the information listed within this ad. Selling a Vehicle? Create Professional Listings Fast and Easy. Click Here! 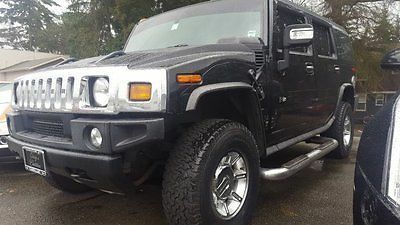 2003 Hummer H2 2003 hummer h2 blacked out. 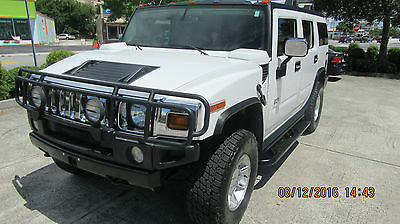 2004 Hummer H2 Luxury Model SUV 1 Owner Survivor-Great Shape! 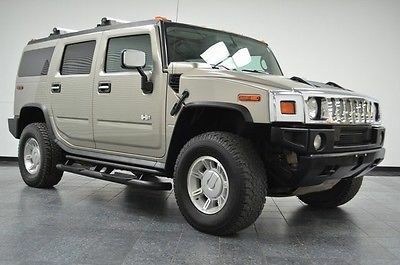 2004 Hummer H2, Pewter Metallic with 123,073 Miles available now! 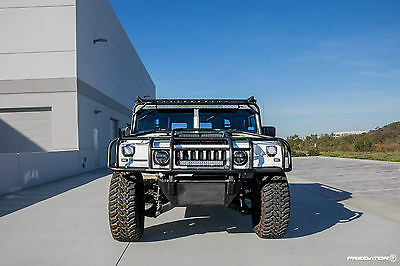 2005 Hummer H2 SutCustom textured paint jobLift kit Custom wheelsFifth wheel HIDs LED bars (Front & Rear)Electronic step bar Custom grill GPS navigationAlso including brand new winch still in the box with wireless remote.No accidents. One very minor incident where a lady rubbed against the wheel and damage your fender.Serious buyers call 954-806-9735 if you have questions. 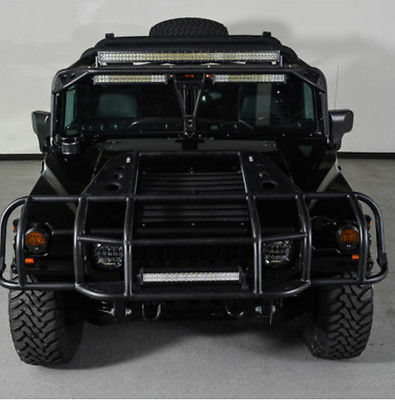 One of a kind Hummer SUT! Limited Edition - 1/1,500! Second owner. Must see! Call 513-300-6452 with any questions. 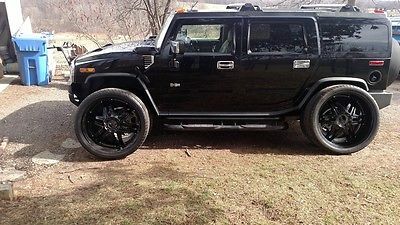 2007 Hummer H3 Luxury H3X 2007 Hummer H3 SUV Luxury Edition H3X PLEASE READ! 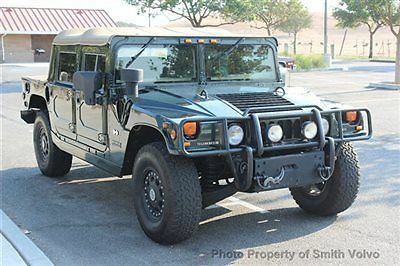 For sale 2007 H3 Hummer H3X This vehicle has 98k Miles and is in excellent condition. Non Smoker! Every option except Navigation and roof lamps. This Color was only available in the H3X model which includes: Tire Cover 18 inch wheels, push bumper and chrome gas flap and hood vent. 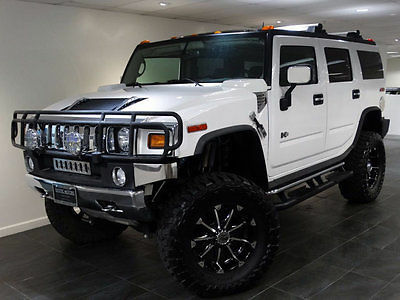 If you are looking for a eye catching Hummer H3 you don't want to miss this one. Always garage stored. No rust or scratches. Mobile 1 oil changes since day new. $46k new! 2 sets of floor mats will come with this vehicle one used set and one new. NOTE: Just found out that the car fax shows a minor accident in November 2015 I have added pictures to show just how minor this was. The tire cover was damaged due to a young girl who bumped my wife in stop and go traffic. Insurance company replaced the Tire cover that is it. The rear door was fine. Please call or text 586-707-5150 if you have questions. 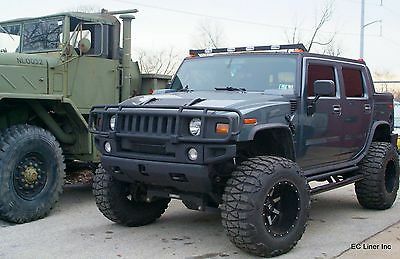 2003 Hummer H1 Super Rare 2 Door Custom Truck, One of 74 2 Passan 2003 Hummer H1 Rare 2 Door Custom. One of only 74 2 passanger 03 trucks made!